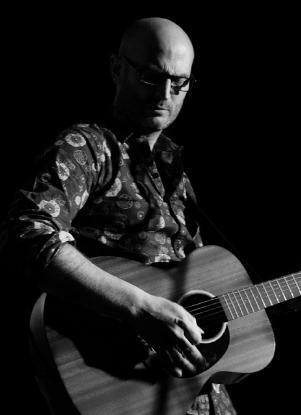 Having reviewed his award-winning album Somewhere Between and then seeing him live at the Unicorn Theatre in Abingdon, we just had to book Steve for our Showcase Evening at Nettlebed Folk Club on Monday 4 September. Steve took some time out of his busy schedule to answer a few of our devilish questions. SF: Tell our readers a little about yourself … and why did you choose this genre of music or did it chose you? SP: I grew up in Cambridgeshire and discovered a love of music at an early age (John Denver, The Carpenters and Elvis being amongst my earliest memories!) Over subsequent years, my tastes have naturally broadened to take in music from a wide range of genres ... it just has to be good! I have definitely gravitated more towards the acoustic side of things though as I find the stripped-back sound and approach capable of accommodating everything from tenderness to full-blown angst, and that range works very well for what I do. An individual with an acoustic guitar holds, for me, the possibility of great things, and the sight and sound of an impassioned practitioner never fails to excite. SF: You write some powerful songs on social justice or injustice – does it feel good to get these things off your chest? SP: There is definitely a large element of that! It’s important to write about stuff that moves/concerns/appeals to you and I think that if a song is worth the time and effort it takes to create it, then the subject matter should be of equal value. I write about things that I consider to be important, and consequently these are the things that rise naturally to the surface when the creative urge strikes. Whilst I don’t know that ‘protest songs’ necessarily change much, they do provide a banner under which like-minded folks can gather and strengthen their resolve ... and hopefully, in that respect at least, they serve a purpose beyond the catharsis of the writer/performer. SF: Your song ‘This Land is Pound Land’ is very popular with audiences and tells of the problems small shops are having on our high streets. Where did the inspiration for the song come from? SP: The title came first when I walked past a local pound shop (I won’t tell you which one!) and found myself singing the line. It’s a take on the Woody Guthrie title, of course, and it was one of those occasions when the concept of the song was clear to me from the outset; the lyrics and music then came together fairly quickly, as I recall. The central theme of the song is, I think, an important one. Whilst larger chain stores, discount shops and supermarkets have their place, we lose a great deal if the smaller independent businesses are allowed to fall by the wayside. There are other issues too about what we value and how we are encouraged to perceive worth but that’s really the heart of the song. Also, my wife has her own shop in Minehead near to where we live so it has a little bit of a personal element as well. SF: Your latest album, Somewhere Between, won the FATEA Magazine Album of the Year and is nominated (at the time of writing) for the Folking.com Album of the Year. People are obviously relating to the themes running through the album – tell us a bit about it? SP: It’s really been a wonderful surprise to see how well the album has been received! There is a fairly strong political flavour to some of the songs which I know appeals to some, but there are also a number of very personal songs, which though not always autobiographical in their content, do hopefully express things that are common to us all; the desire to be accepted, valued, understood, and to understand. A theme of transience runs through a lot of the songs too and, I suppose, a sense of constantly searching, which again is something that I think many of us can relate to. For example, the final song on the album, ‘At the Last’, touches down in a place of reconciliation with these things and finds peace in accepting the largely indeterminate nature of it all. It’s taken a long time to find that myself and I misplace it almost daily. SF: Other than being part of the Shire Folk Showcase evening on Monday 4 September at Nettlebed Folk Club, what else does the future hold for Steve Pledger? SP: I have a number of gigs coming up throughout the rest of 2017 – including a tour in Scotland in September – and I’m hoping to add more shows too. It’s getting out and playing live that really fires me up and connecting with more and more people. This year has been a tricky one to get a hold on as we are relocating to North-east England in early summer so everything is revolving around that at the moment. As the dust clears though, I’ll be looking to get busy again with performances and more ... there are a few plans beginning to bubble. Plus there is no shortage of inspiration – or need – for songs in the world right now so I really want to give time and attention to writing as well. Whilst the next album certainly isn’t imminent, having now released three, I’ve come to realise that the next one is never really that far out of mind.